Marshall is a town in Madison County, North Carolina, United States. 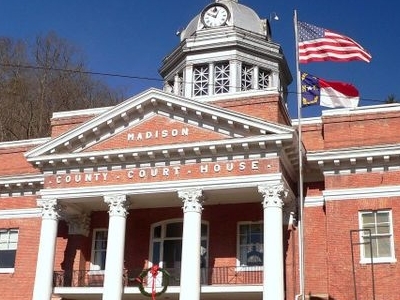 It is the county seat of Madison County. According to the United States Census Bureau, the town has a total area of 3.8 square miles (9.8 sq.km), of which, 3.5 square miles (9.1 sq.km) of it is land and 0.3 square miles (0.78 sq.km) of it (6.91%) is water. Marshall is located on the eastern bank of the French Broad River, one of the major river systems of western North Carolina. Marshall is part of the Asheville Metropolitan Statistical Area. Here's the our members favorite photos of "Cities in North Carolina". Upload your photo of Marshall!